It's 18:01 in Fresno, USA right now. 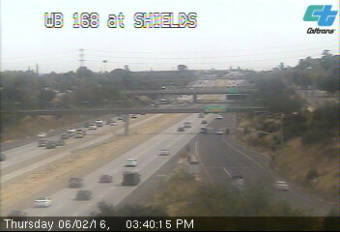 FRE-168-AT SHIELDS AVE A view of the current traffic situation. Fresno, California: FRE-180-PEACH AVE, 0 miles away. Fresno, California: FRE-99-BELMONT AVE, 0 miles away. Fresno, California: FRE-41-AT BULLARD AVE, 0 miles away. Selma, California: Wildflower, South Cam, 15.1 miles away. Bass Lake, California: Panorama View, 41.6 miles away. Three Rivers, California: Kaweah River Cam, 52.6 miles away. Three Rivers, California: Kaweah Kam, 52.6 miles away. Mineral King, California: Mineral King - Timber Gap, 68.4 miles away.